We have worked together each Christmas for 20 years or so at one of the homeless centres for Crisis in London. During the year we always try to get away together. 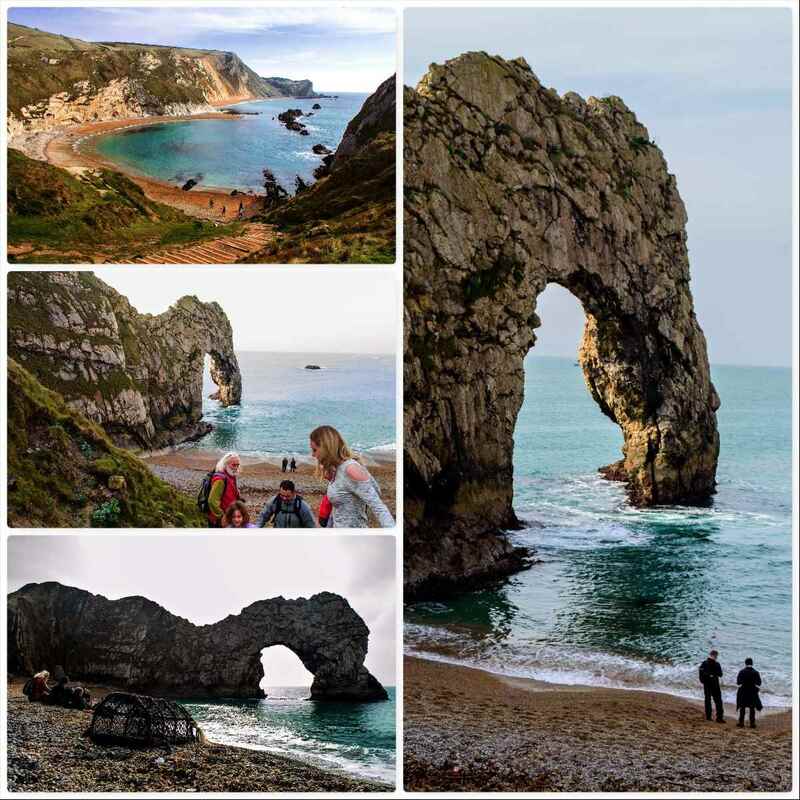 This year Gordon organised a trip down to Durdle Door on the Dorset coast here in the UK early in March. I had never been to this part of the coast before so was keen to go. We set up camp at Durdle Door Holiday camp (I insisted on sleeping in my hammock while they all got the tipi) and then headed off towards the coast. 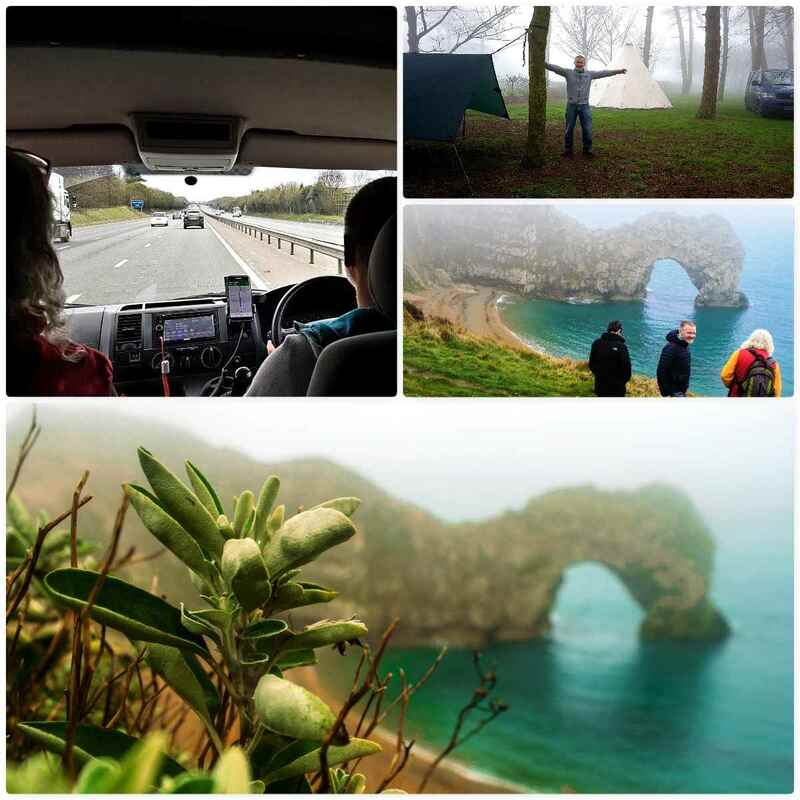 The fog was well in but I insisted we go all the way down to see the arch at Durdle Door. I am glad I did as it looked stunning in the fog. 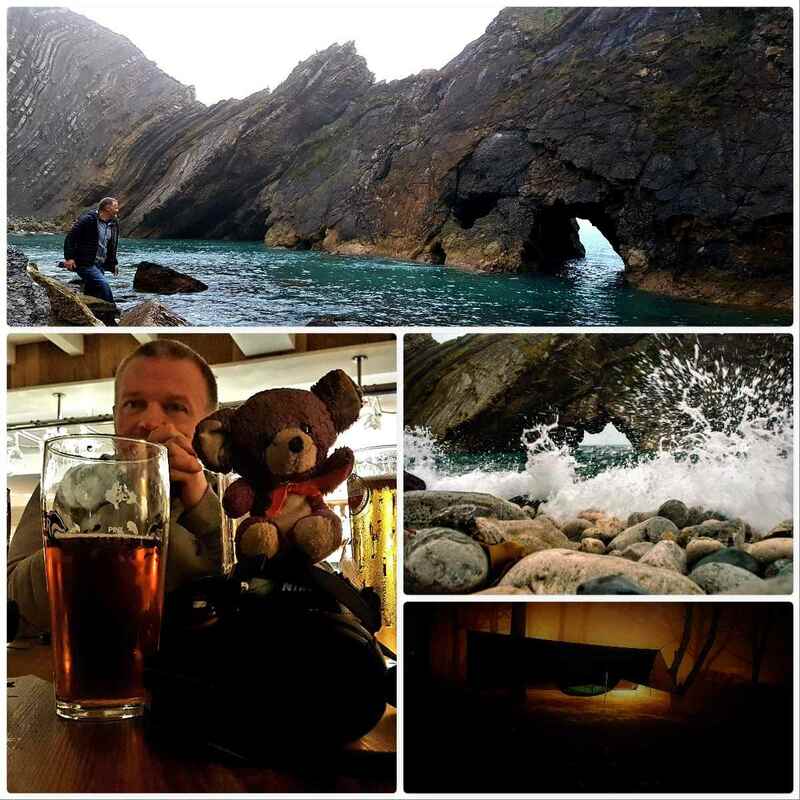 Once we had finished there we headed on over to Lulworth Cove and Stu and myself headed on down to see Stair Hole. It was a bit of a hike down but it was worth it to get the pictures. The rest of the evening was spent between the pub in Lulworth Cove and the one in the campsite where I was presented back with my Flossie Anne. She had just come back from one of her epic trips with Rick – this time she travelled from Japan through China, Mongolia, Russia and the Baltic states (she must be the most well travelled bear in the world). I woke up at daft o’clock on Saturday morning to the sound of the Crows roosting above my hammock. The tranquil nature of the rest of my view made up for that racket though. 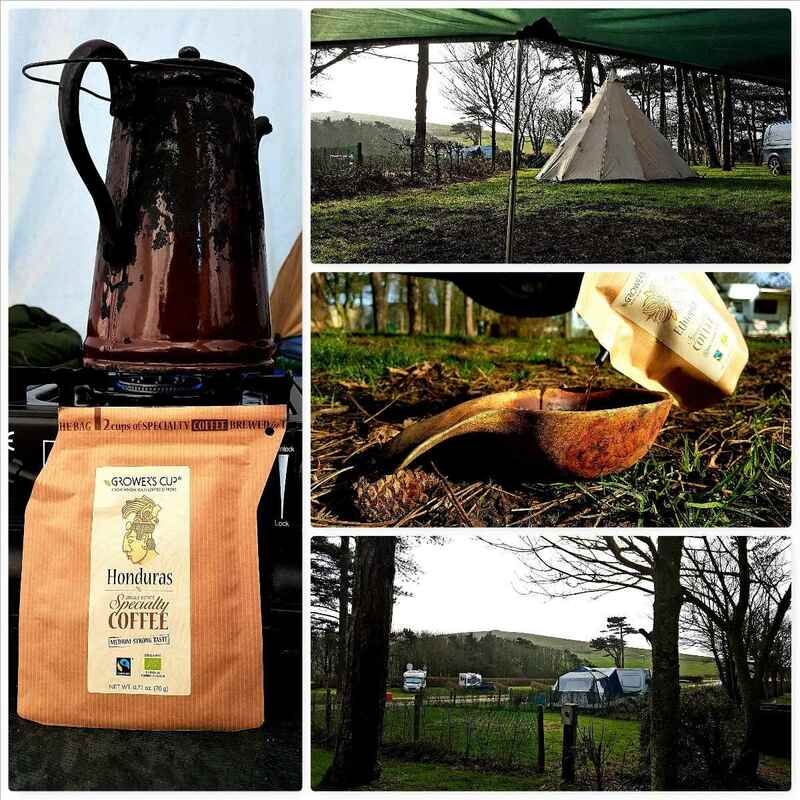 The rest of the morning was a relaxed affair (apart from the Crow poo all over my tarp and tipi) and Stu had brought along some great coffee to brew up. 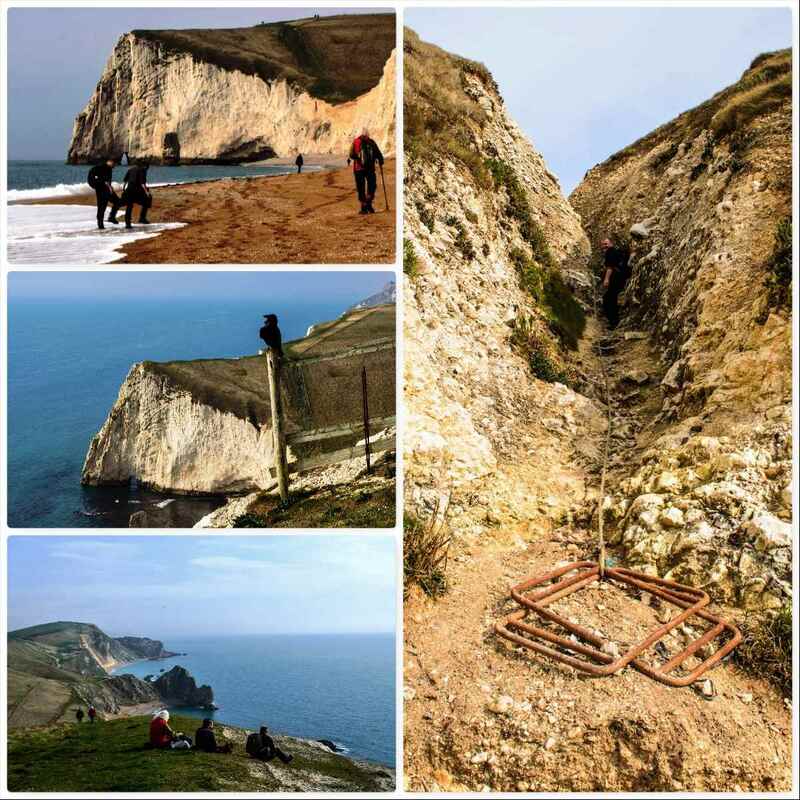 Once brekkie was over we headed back down to Durdle Door (Rick was very concerned for a young lady as she descended the steps!!) and I got a good look down the coast over the Man O’War beach – it really is quite stunning. We pootled around Durdle Door itself (well I faffed really trying to get a good picture of it) before heading west. As you head west you approach a great big headland named Bat Head with an archway called Bat Hole. It is beautiful to look at however there was no way round it for us with the tide being so far in (I have no idea if you can get around the headland at low tide). Gordon and Stu were not paying attention and were soon ankle deep in swash 🙂 We back tracked and spotted an escape route up off the beach. It was a ravine with a weighted rope in it. After a quick recce everyone was soon up on the coastal path overlooking the beach. From Swyre Head we moved off inland around a natural bowl in the landscape called Scratchy Bottom – there are some brilliant place names in this country. It was here Rick spotted a group of wildflowers. Once I got up close I could see they were Speedwells – this being early March it was my first spot of them this year. There were a number of kayakers on the water and they made for some lovely photography but I could see that the fog was starting to come in again. 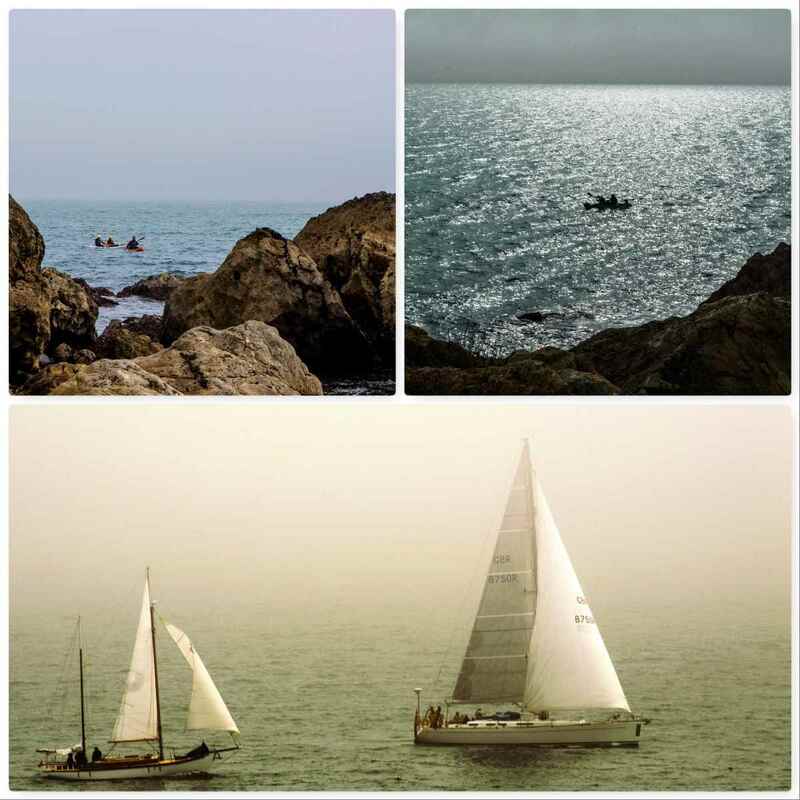 As it thickened up two beautiful yachts came out of Lulworth Cove and headed west along the coast. It was really difficult to photograph them with the fog and because they were both white but I think I got a decent shot in the end. We tried to get all the way to the entrance of Lulworth Cove but it was just not possible. We found a section of Cliff that was easy to scramble up and were soon in Lulworth Cove once again. I left the lads to potter around the village (code for pub) and spent a half hour down on the cove photographing it. The waves were non existent so I had to get down really low to get a half way decent shot (bottom picture). 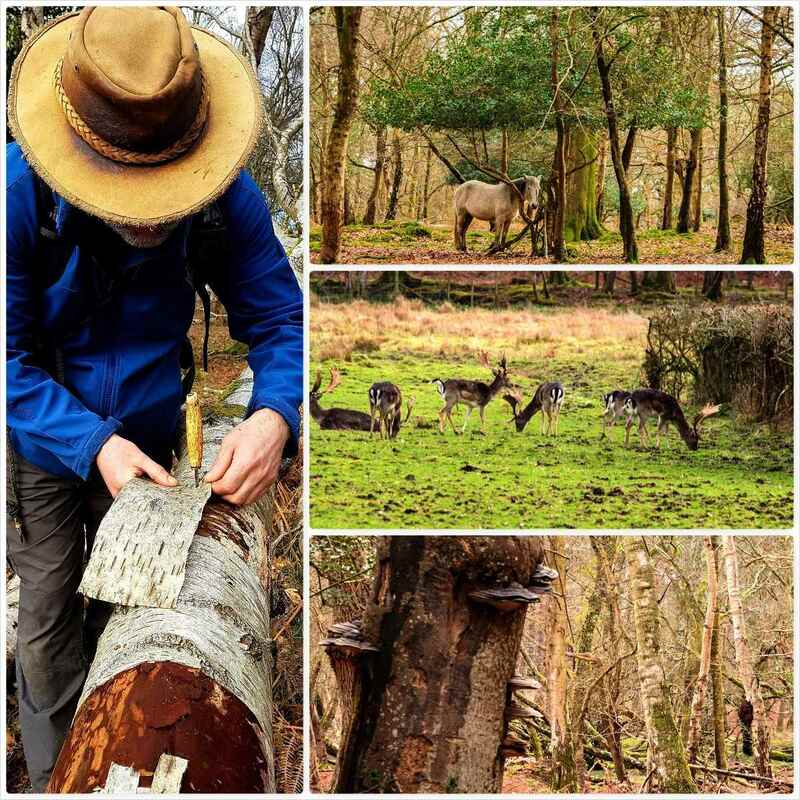 We had decided the night before to de-camp straight away and head on over to the New Forest on the Sunday morning. It did not take long to pack everything away (after cleaning of more Crow poo) however due to the rain overnight (Rick ended up a tad damp in the morning) we had to have Stu’s VW van pulled off the campsite. We drove onto the carpark by Beaulieu Rd Railway Station and headed off to the woods by Denny Lodge. There were plenty of ponies around and quite a few deer – though the first lot were in an enclosure (all stags in an enclosure called Stag Park). I spent some time making up some birch firelighters and looking for fungi and burrs. 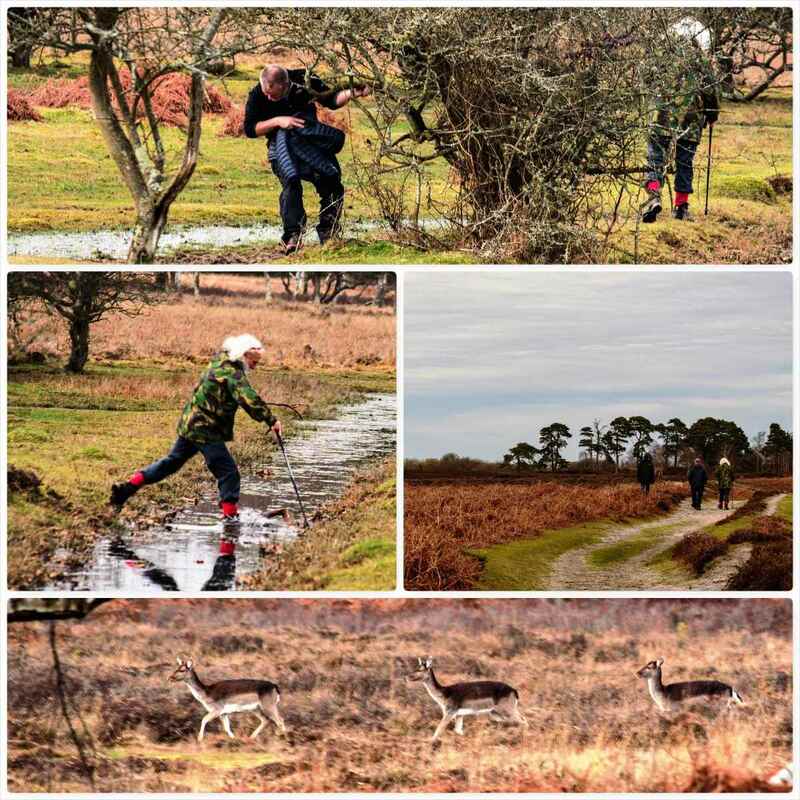 There was still plenty of standing water on the heathland so a detour here and there was required and just as we headed back to the van we spotted a herd of female deer in the open. I took my time and got as close as I could to them. They were very flighty and soon they were off but I did manage to get a decent picture. 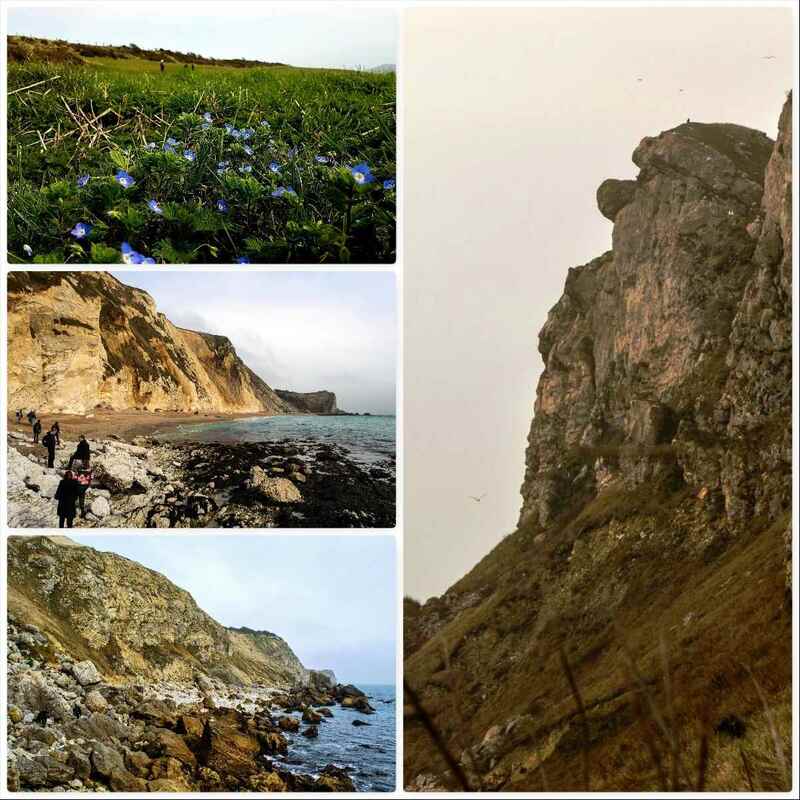 I liked the campsite in Durdle Door so much I am back down there in a weeks time with my family to stay at one of the camping pods they rent out – fancy a break from always having to put the tent up. 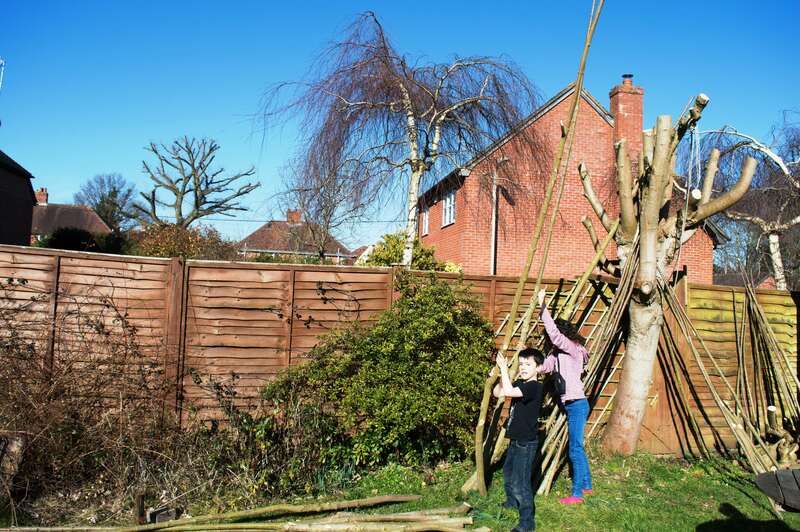 I had pollarded a sycamore in my garden during the winter and had stacked up all the rods for use in bushcraft projects this year. My kids though had other ideas and wanted a den built with the rods. 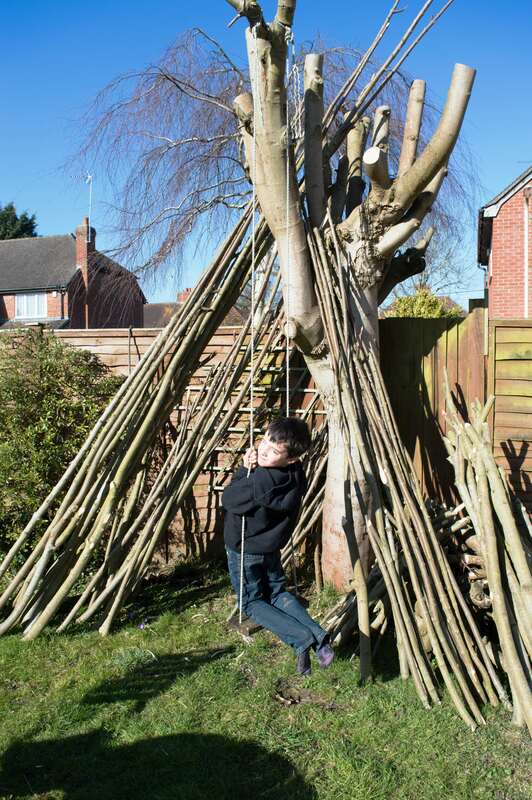 As the rods were laid up against the tree I got the idea for a quick tipi style of den for them. We stripped away all the rods that were either too big or too small. 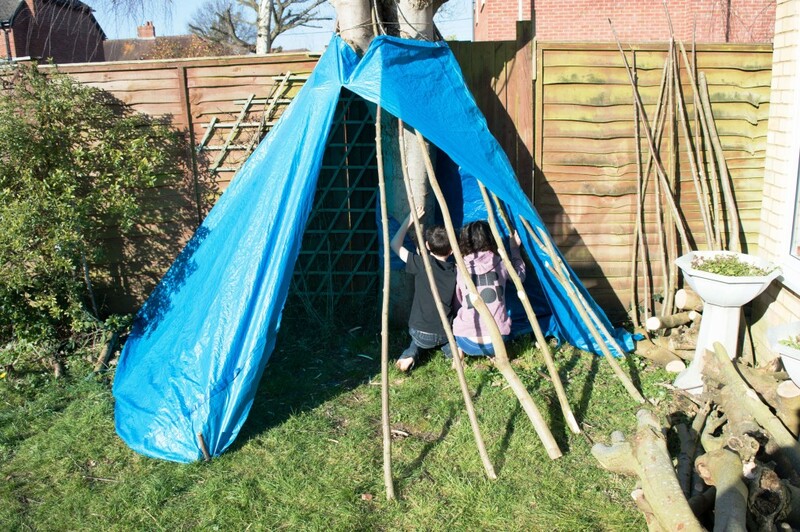 We laid the remaining rods around the tree in a tipi style and then wrapped some old tarp around it all. I cut up the middle of the tarp to form an opening and then with the kids tacked it all down with wooden pegs. 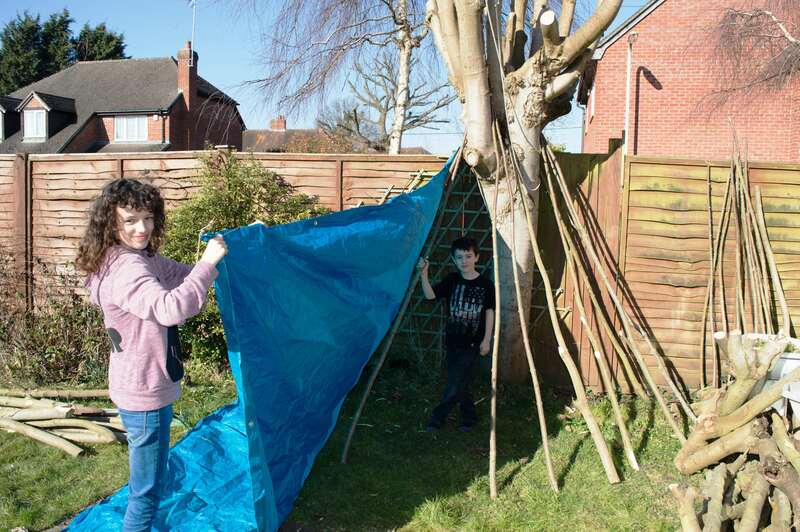 I then added another tarp to reduce the size of the opening. I added a few old sleeping bags to make it comfy and the job was done. 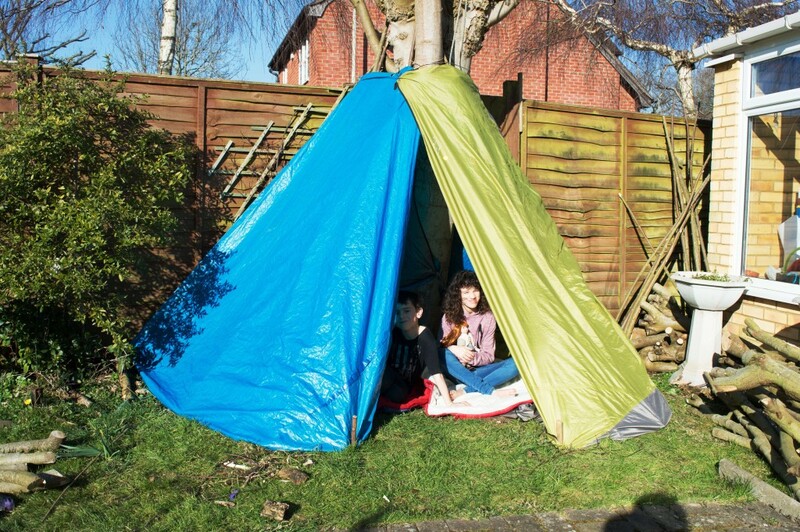 My kids spent a lovely afternoon in the early spring sunshine playing out in their new den and it took about 45 minutes to make. 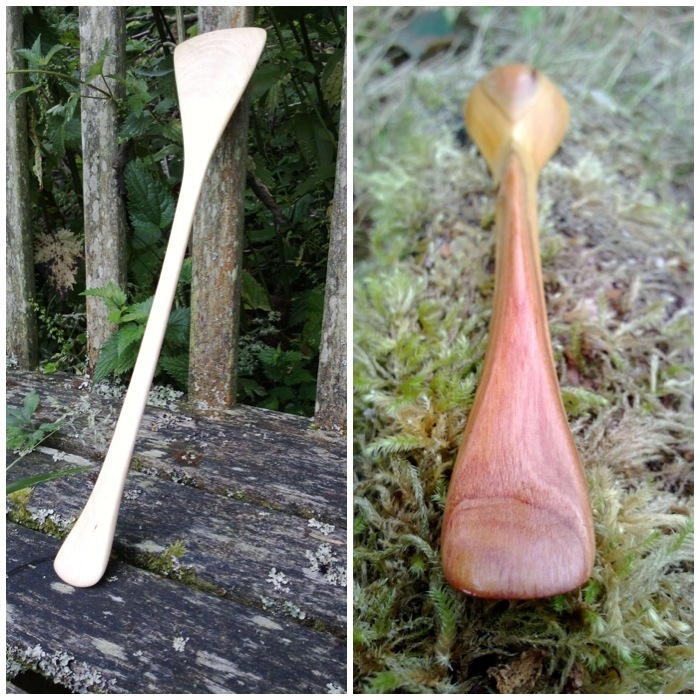 I wasn’t going to post about our family summer holiday as I thought it wasn’t particularly relevant to this blog but after having a look at the pictures again I noticed there were quite a few bushcrafty ones. This post will just focus on some of the fun bushcraft stuff we did and I will not bore you with all the hundreds of beach and plant pictures I took. 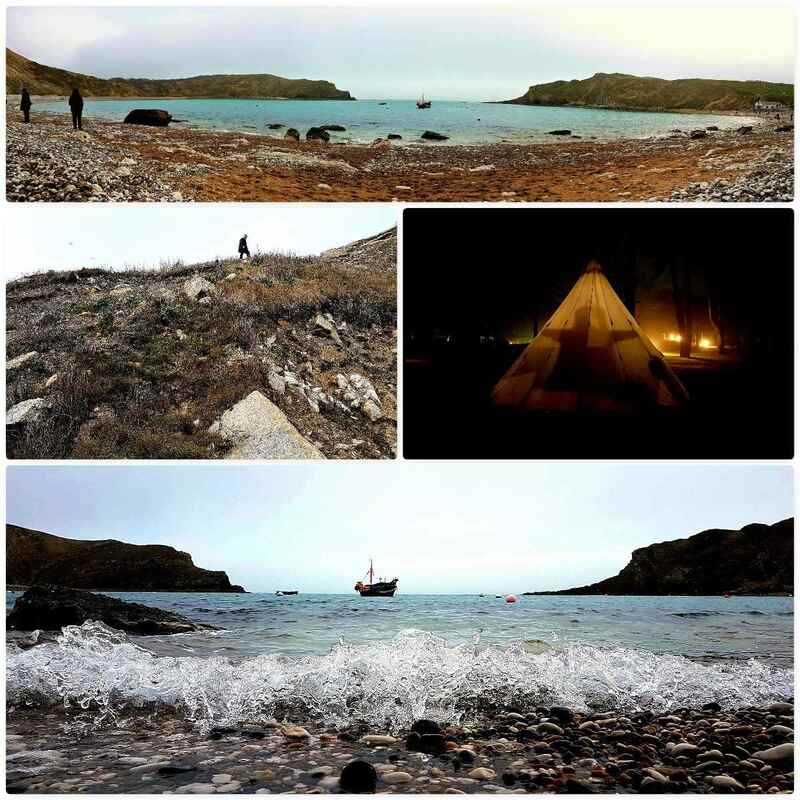 Our good friend Lou worked as a manager at the YHA in Golant in Cornwall so we pitched our tipi in the gardens of the hostel, combining a holiday with a visit to her. 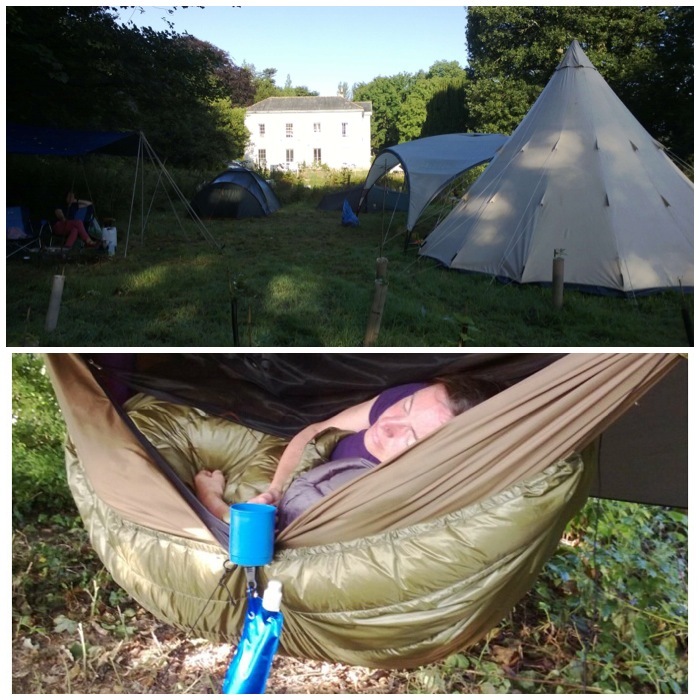 The hostel itself is a Regency period building so it felt quite grand to be camped out in front of it for a week. Alison got the hammock for herself and a cup of tea in bed every morning, I got the tipi and the kids. This was at times a very busy holiday but I certainly found time to catch up on my sleep loss. Over the whole holiday I concentrated on getting as many pictures of different plants as possible. This beautiful one of Catherine was taken in the grounds of the Eden Project. Checking for wind direction I presume!! 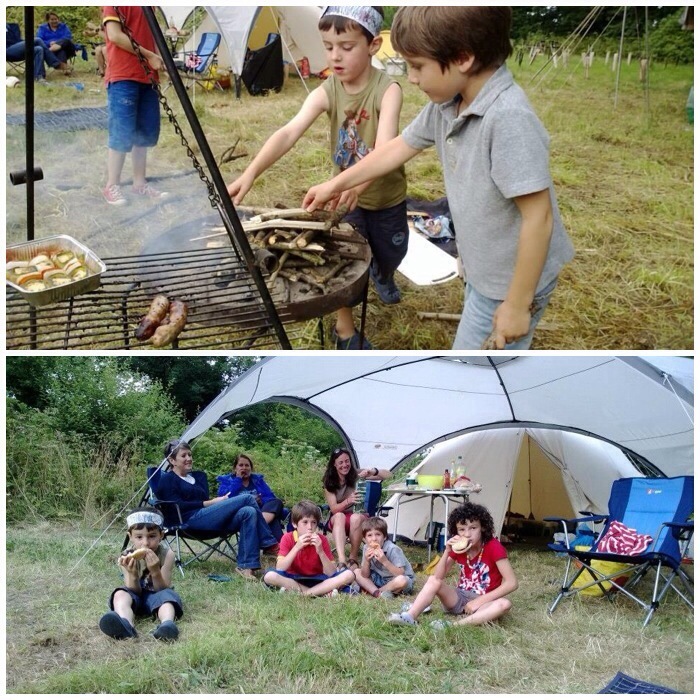 The boys were happy to re stock the fire as boys do and a relaxing dinner was had by all. 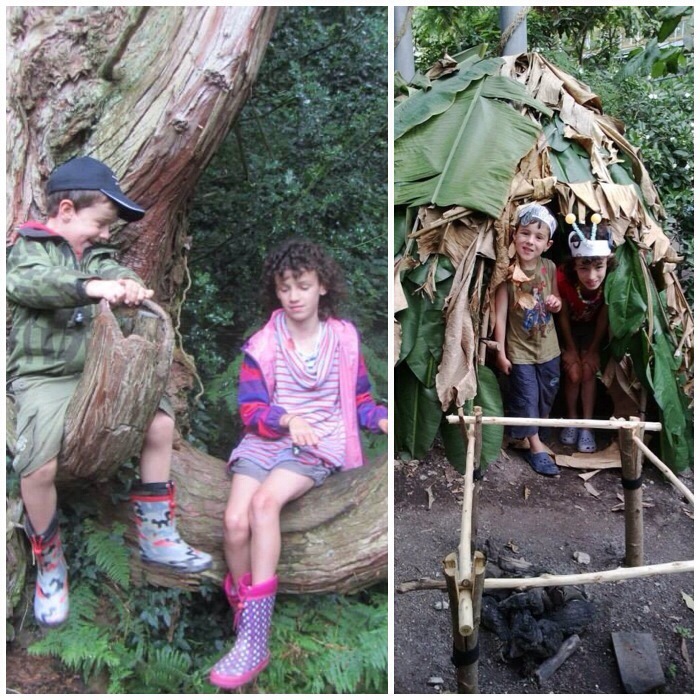 Steve and Kirsty live with the boys in Cornwall where Kirsty runs her own business Kirsty Elson Designs (Kirsty is a fabulous artist) and Steve works in youth development and would like to do more in the way of bushcraft. You just cannot beat some time with a bow and your kids. 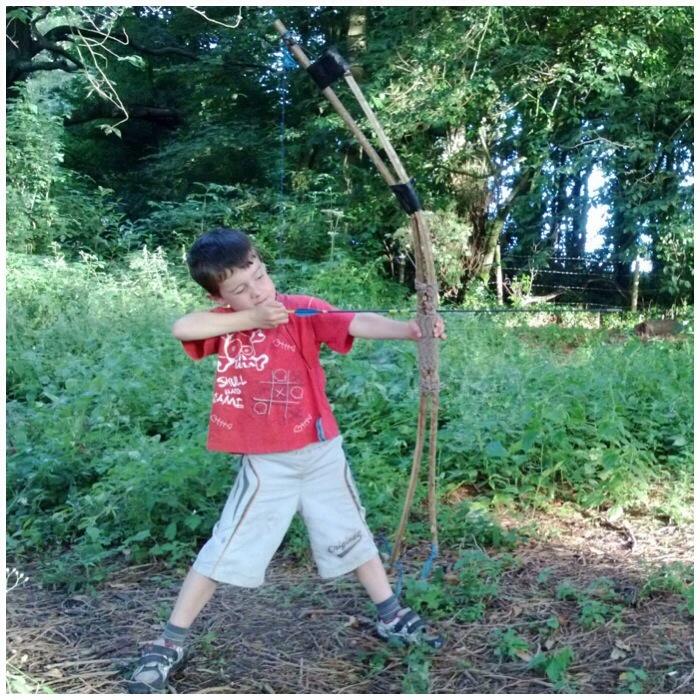 The Father and Son bow is excellent for introducing kids to bows as they are quite easy to draw. Catherine had a ball wherever she went, be that with the ducklings or with sand. Our kids love their toys and gadgets but they’re good at making their own fun as well. 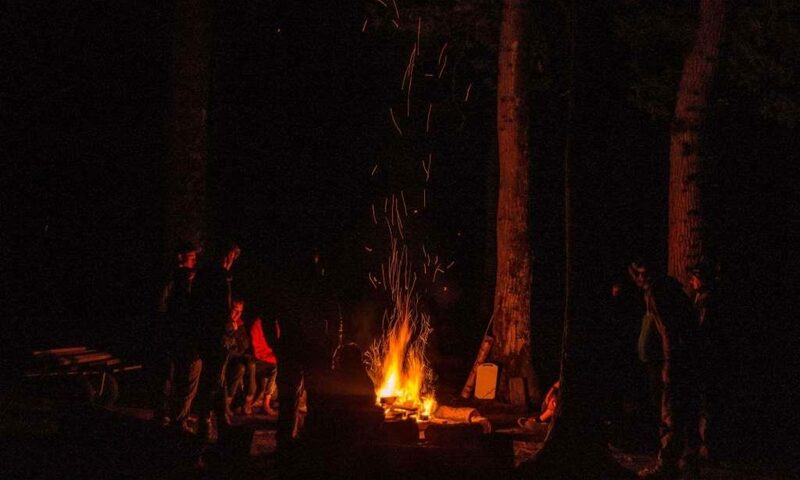 I got a message on Facebook one day from one of my bushcrafting buddies Jonny Picket, inviting us to a birthday bash in his woods he was organising for his partner Janie Sarchet. We were camped just the other side of the River Fowey from them. 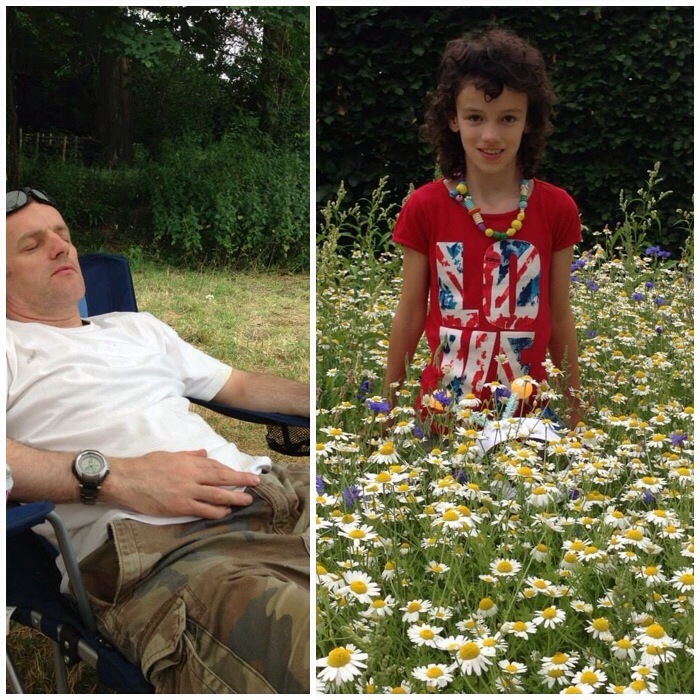 Jonny and Janie have a lovely farm near the coast and had decorated part of their woodland for the party. 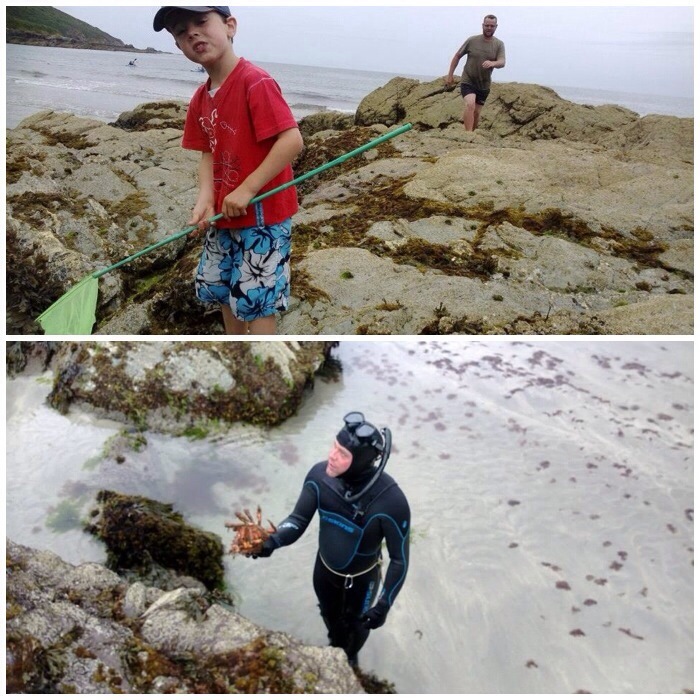 After arriving I took Finlay down to the coast with Jonny and one of his friends to watch them spear fishing. No fish but a pretty spectacular spider crab was found. Finlay and I had a great time rummaging around all the rock pools. After getting to know everyone it was a case of chilling and waiting for the meat to cook in the massive metal hangi type oven. Alison got talking to Janie and has since published in the Kindle store a book that Jane had written called Project Egg. 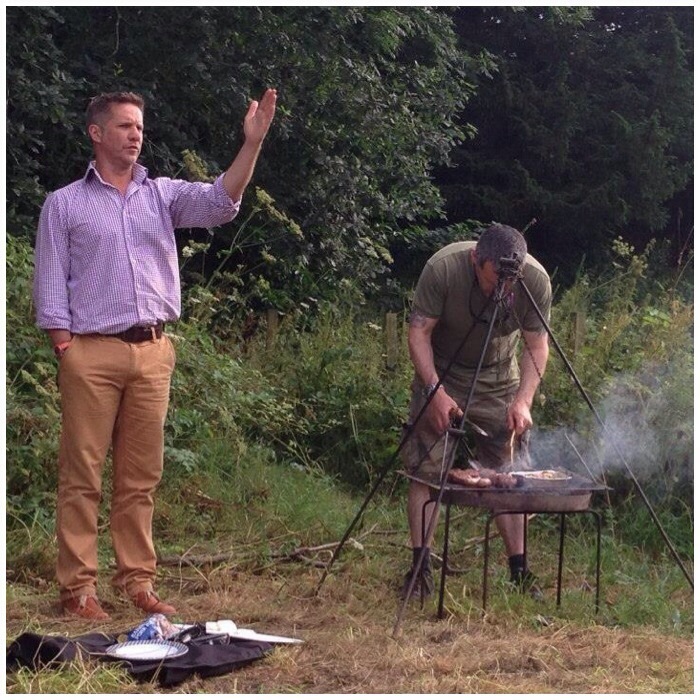 Janie also has an excellent blog site called The Hedge Combers and as best said by Janie – “Our ultimate aim is to build up a resource of useful posts, ideas & recipes, invaluable to anyone starting out on their own self sufficiency, gastro-adventure“. 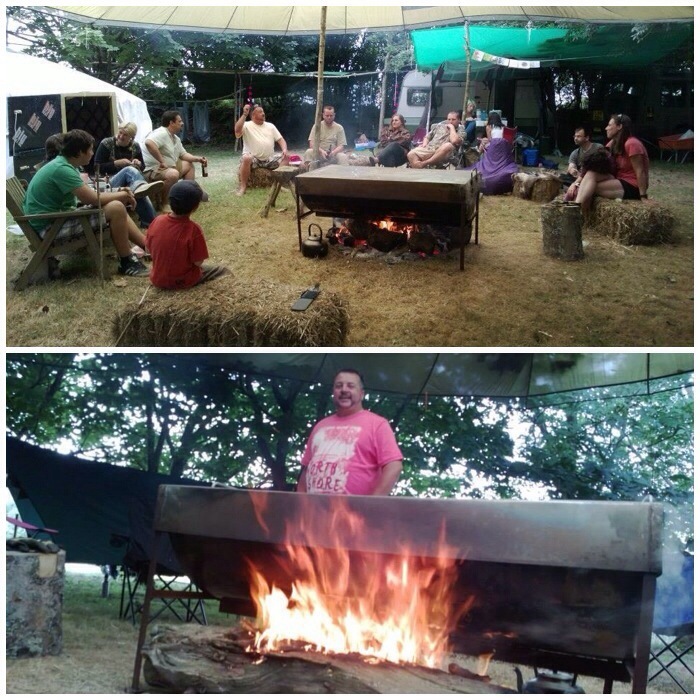 It was great to catch up with other bushcrafting buddies including Pete Thomas and Ashley Cawley. They all made our family feel very welcome. 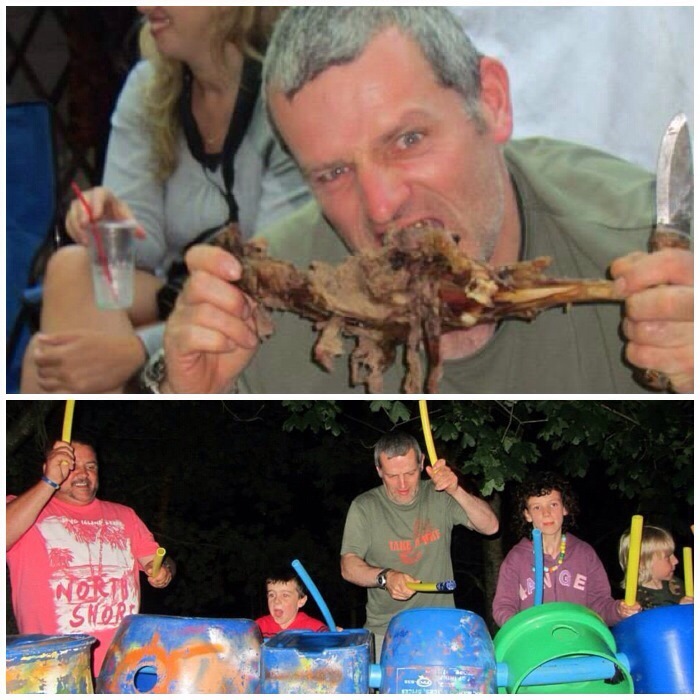 I had fun helping to cut up all the meat from the hangi and nibbling on a piece or two but best of all was the junk drumming session we all had at the end – we did not roast Pete in the end as it might look from the picture above :-). 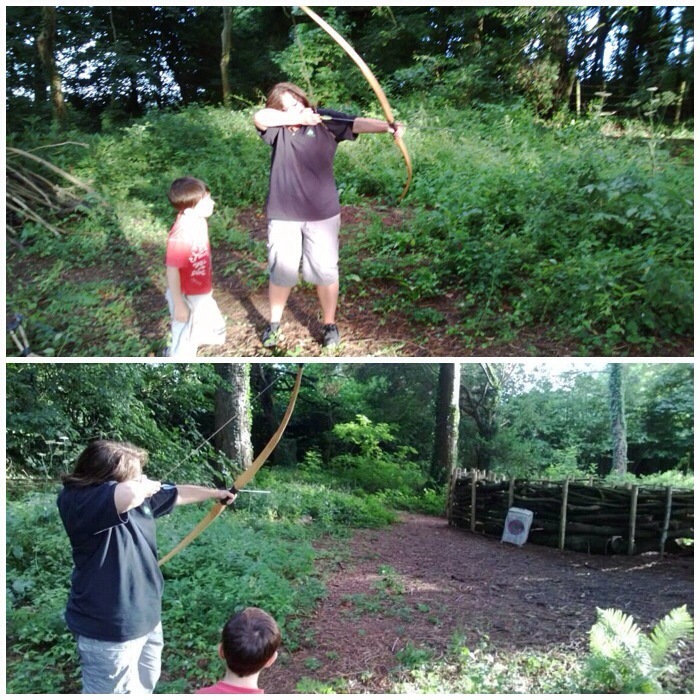 A happy Lou and Finlay taking some time out to shoot (well Finlay patiently waiting his turn). I took time out to just sit and carve. It was such a beautiful campsite it would have been a shame not to. 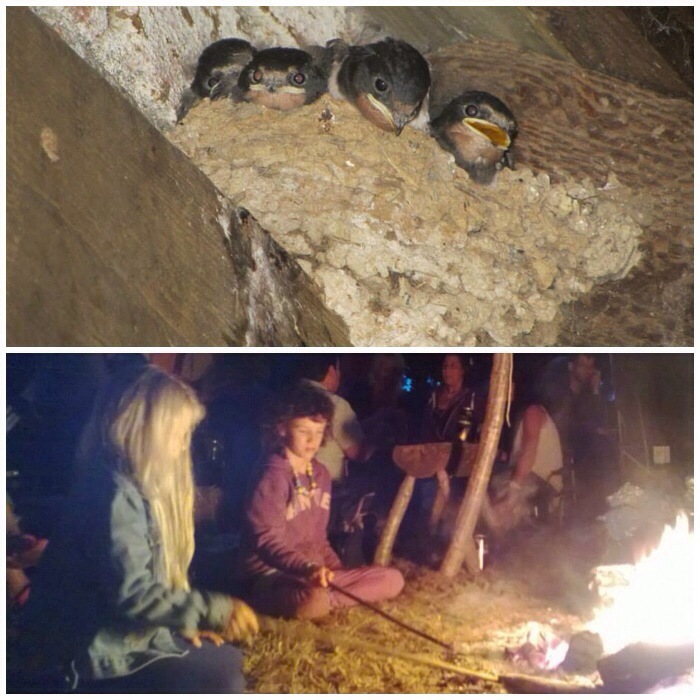 Other nice memories were finding this nest of little chicks and watching the slightly bigger ones idily poking the fire (what kid does not like doing this). 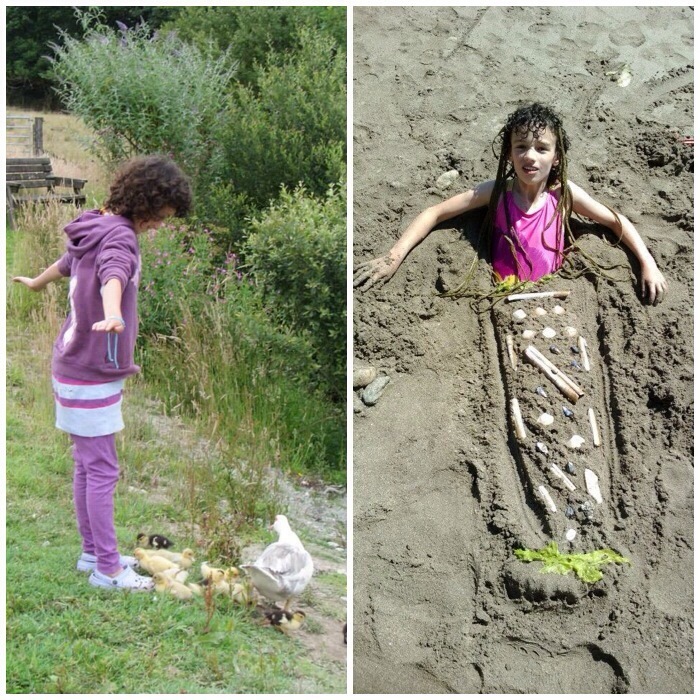 Every day was either spent on the beach or wandering through the woods exploring – we went to some fabulous places including The Eden Project, the Lost Gardens of Heligan and St Michael’s Mount. 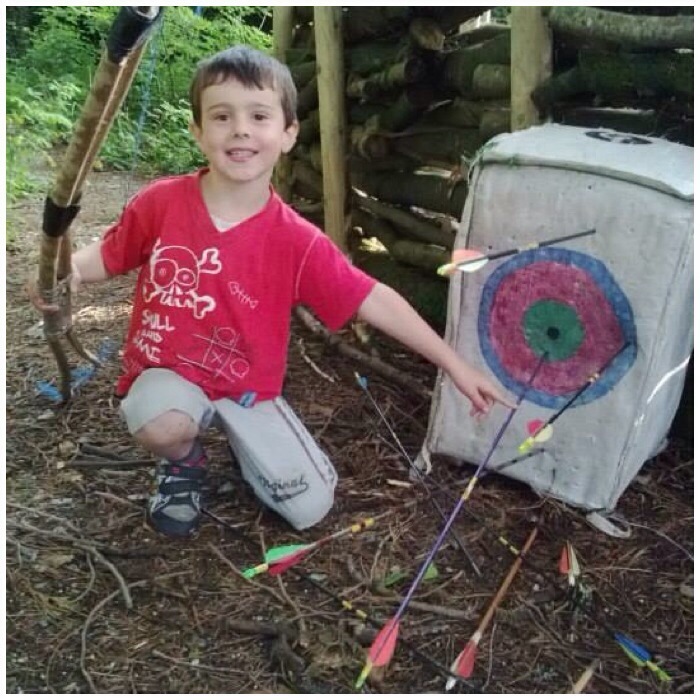 I had a great time with Finlay working on his archery and look forward to getting out to some camps with him this year to shoot some more. 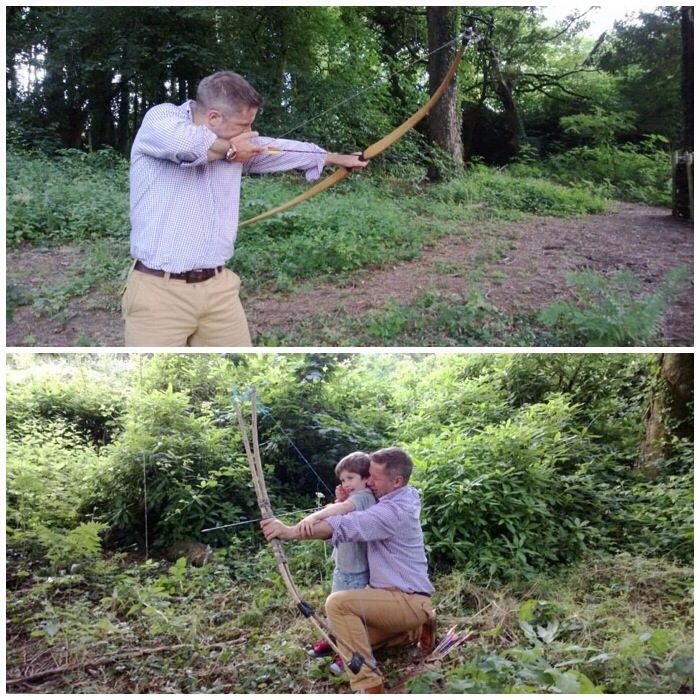 I think Catherine and Finlay will get quite competitive in the future with their bows. I do not know who was happier about hitting the target. 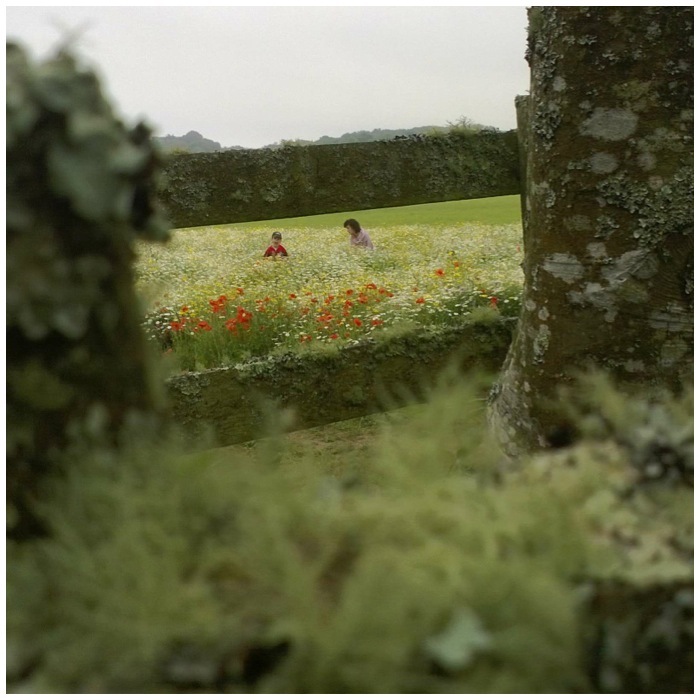 This has got to be my favourite picture of the holiday with the kids playing happily in the flowers. And finally back to Alison. 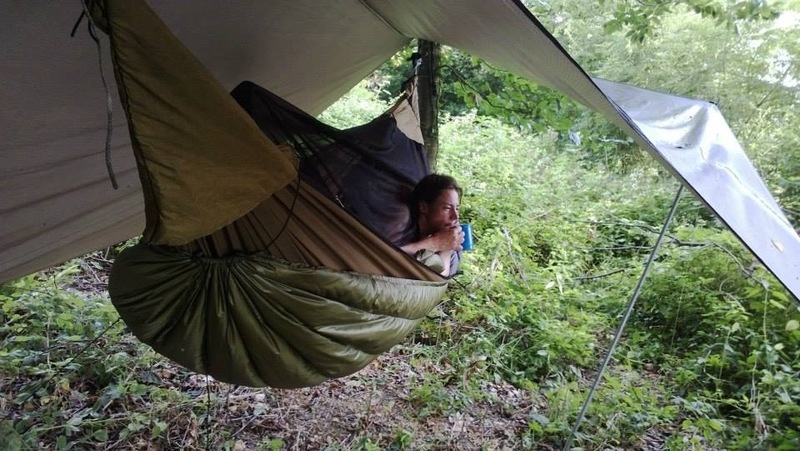 As I said she got not only the hammock but also a cup of tea every morning. She does make hammocking look stylish.